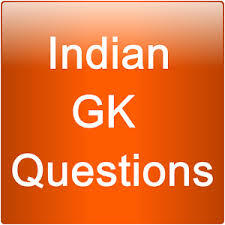 General Knowledge questions on Indian GK for Bank PO, IBPS, Bank Clerical And Indian GK For RRB Assistant Loco Pilot Group D 01-05-2018 questions for bank exams, very important computer-related questions for Bank PO, SBI PO, IBPS,RAS, IAS, UPSC, RPSC, 1st, 2nd, 3rd Grade Teacher, REET CTET, LDC, SSC CGL, IBPS, MBA, CAT, MAT, SBI-PO, RBI And Railway, Indian Army And all competitive Exams, and Most expected Computer Question Papers with answers. These Questions are most commonly asked in Other Banking Exam And All subject Wise Notes and Math, Hindi, English, History, Political Science, Psychology, Sanskrit Related Study material. Question. (1) What is the water transport through the plant? पौधे में जल परिवहन किसके माध्यम से होता है ? Question. (2) What is the specific heat meter? विशिष्ट उष्मा का मात्रक क्या है ? Question. (3) The Indian Constitution, which part of the federal judiciary is mentioned? भारतीय संविधान में संघीय न्यायपालिका का उल्लेख किस भाग में है ? Question. (4) Who was the president of the Indian National Congress at the time of Independence? स्वतंत्रता प्राप्ति के समय भारतीय राष्ट्रीय कांग्रेस का अध्यक्ष कौन थे? Question. (5) How many cm for paddy Need Rain? धान के लिए कितने सेमी. वर्षा की आवश्यकता होती है ? Question. (6) Which three states were formed by the 84th Constitution Amendment 2000? कौन-कौन सा तीन राज्य 84वाँ संविधान संशोधन 2000 द्वारा गठन हुआ था ? Question. (7) Who is the author of an autobiography My Girl Hood? माई गर्लहुड ‘ एक आत्मकथा के लेखिका कौन हैं ? Question. (8) How long can the length of Lok Sabha be extended during the National Emergency? राष्ट्रीय आपातकाल के समय लोकसभा की अवधि कितने महीनों के लिए बढ़ाया जा सकता है ? Question. (9) The Ordinance issued by the Governor is approved by whom? गवर्नर द्वारा जारी किया गया अध्यादेश किसके द्वारा मंजूर किया जाता है? Question. (10) When was the Institute of Space Science and Technology established in Thumba? थुम्बा में अंतरिक्ष विज्ञान एवं प्रौद्योगिकी केंद्र की स्थापना कब की गई थी ?